I began working at A44 as a Game Designer in May 2017. During my time on Ashen, I worked in many different areas of design. The dynamic nature of this position prompted me to adapt, become effective at communication, and learn new skills often. Traversal Systems: Co-OP Climbing and Treading water systems. Player UI: Player Inventory, Character Creator, Character Stats and Messaging System. Open World Level Design: White-boxing on several critical areas of the game, Cave systems and dungeons. Encounter Design: Encounter pacing and placement, Enemy behaviour design, Boss fight design. Quest and Narrative Design: Implementation of Quests and the design of each quests flow. Achievement Design: The creation of some of the game's achievements, deciding on the goals and triggers, along with the amount of Gamerscore awarded for each one (Xbox Live Only). 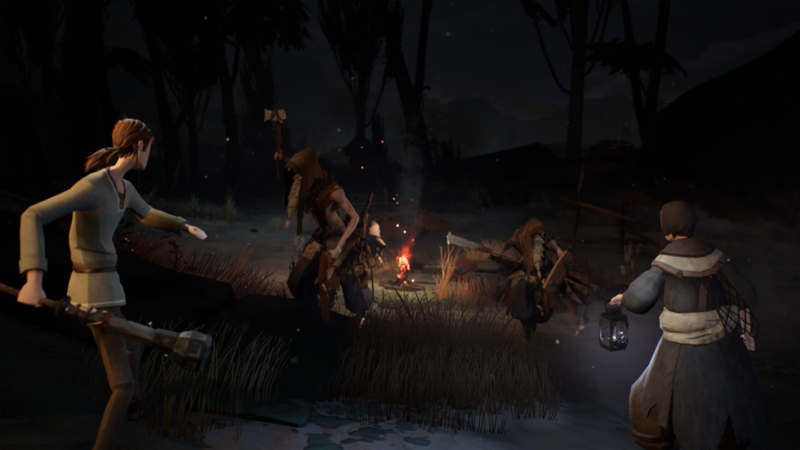 As a designer on Ashen, I advocated for the game to accommodate a diverse range of players. I created documentation and initiatives within the teams to add accessibility options. These included colour blind settings and remappable controls on both Console and PC, Alongside making the game open and accepting of players of various identities through systems like the character creator. There is a rumble in the distance, and then a light. Through the leaking eyes you make out a peak on the horizon, choking the land in a cloud of ash. Nothing ever shone so bright. Ashen is an Action RPG about forging relationships and finding a place to call home. Inspired by games like Dark Souls and Journey, Ashen takes the player through a harsh world where not all is as it seems. Through the use of a seamless matchmaking system players stumble upon other real players exploring the world. Player's must learn to trust the strangers they cross, building relationships and overcome the difficult challenges presented by the world. Ashen produced by a dedicated and creative team based in Wellington. It is a declarative statement to the world that New Zealand can make amazing games.